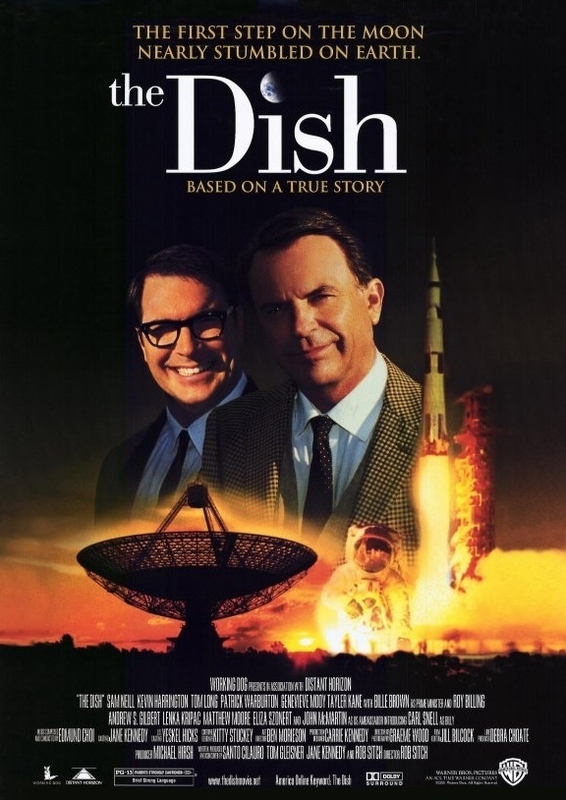 Hands up if you’ve seen The Dish? And keep those hands up if you enjoyed its mix of historical drama and parochial whimsy. Now ask yourself this question: why don’t more people know about this movie? And why isn’t this movie championed around the globe? Why isn’t this movie more highly regarded than it actually is? In short, why has this movie been allowed to amble into our lives with so little fanfare, and then amble away again so easily? It’s a mystery that may never be solved, along with who really shot JFK, who built Stonehenge, and how is it that Liam Hemsworth has a movie career? The Dish should be required viewing for anyone interested in movies as a whole, and Australian movies in general. It’s a nigh-on perfect slice of comedy-drama, and one of the most enjoyable movies of the new millennium. 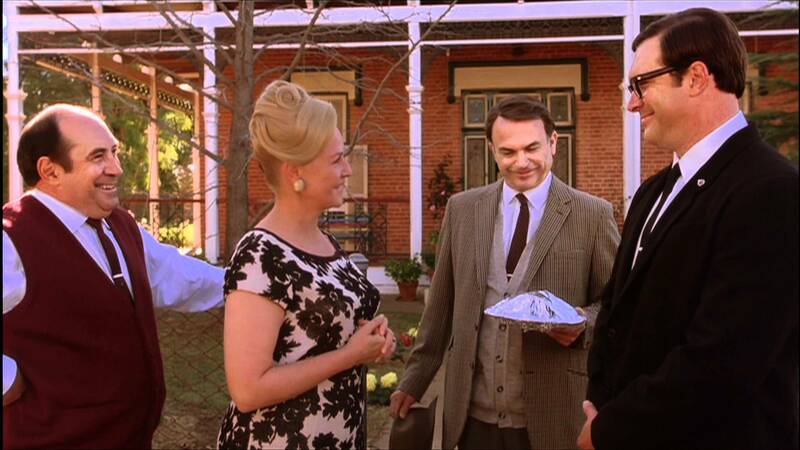 It’s a simple idea: take an historical fact – that the Parkes Observatory in New South Wales was used by NASA to relay live television footage of Man’s first steps on the Moon in July 1969 – and use it as the backdrop for a gentle comedy of errors that puts that television footage in danger of never being seen. Add in the anxiety and civic pride of the local community, the operational paranoia of NASA and the apprehensive natures of visiting dignitaries, and you have a smartly scripted movie that scores highly in terms of its ability to charm and entertain audiences. The only people who seem less perturbed by the responsibility heaped on their shoulders is the small group of men charged with ensuring the television footage is seen as planned, and that the radio telescope that will facilitate this, doesn’t malfunction. There are four men in all, technicians Glenn Latham (Long) and Ross “Mitch” Mitchell (Harrington), visiting NASA official, Al Burnett (Warburton), and the observatory’s chief scientific advisor, Cliff Buxton (Neill). All four are aware of the momentous nature of their roles in the Apollo 11 mission, but that doesn’t mean there’s no room for animosity, as Burnett’s fastidious nature butts heads with Mitchell’s more “liberal” approach to their work. Defusing arguments and disagreements, Buxton is a calming influence on both men, but deep down he has his own apprehensions about the dish’s capabilities and whether or not they can pull off the “job of a lifetime”. There are ups and downs along the way, telemetry issues that NASA is unaware of, re-pointing the dish when it loses the signal’s lock, and a sudden gale that threatens to damage the dish and leave it unable to transmit those all important images of Neil Armstrong walking on the Moon. Buxton is the senior operative whose calm demeanour under pressure smooths and soothes the problems that arise with the equipment, and within his team. Neill’s avuncular performance is the glue that holds the movie together, and whenever he’s on screen, Buxton is the character you can’t help but focus on. There are other, similarly inspired lines of dialogue, and much of it is used to point up the absurd behaviour and nature of the characters themselves – McIntyre’s political aspirations are a particular target, and brilliantly so – but it’s all done with a warmth and a liking for the characters that stops it all from being uncomfortable or malicious. Likewise, the antagonism between Mitchell and Burnett begins seriously enough but is soon transformed into mutual respect and the kind of gentle ribbing that is both friendly and innocuous, and more in keeping with the tone of the movie and its quiet sense of scientific and national euphoria when, inevitably, Armstrong walks on the moon and Parkes’s place in the history books is assured. But it’s not all pleasantries and affability. The movie touches on notions of a community’s pride, there’s the grief over the loss of his wife that keeps Buxton somewhat remote from everyone around him, and a point where the team “lose” Apollo 11 and don’t immediately know how to find it again. For all this to work, director Rob Sitch has assembled a marvellous cast, with Neill on superb form, and sterling supporting performances from Warburton (terrific as always), Billing, Long and Harrington (the sheep are good too). 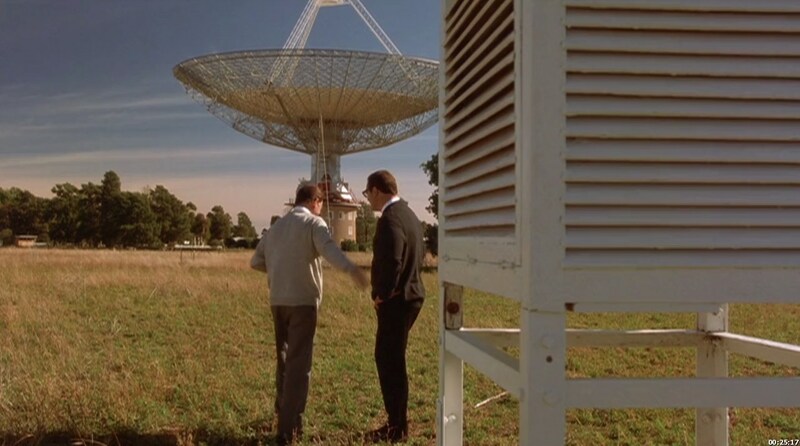 But it’s the production design that often stands out, with the movie able to use the real locations from the time – including the observatory, and on the dish itself – and lots of original NASA equipment that was left behind as too costly to transport to the US. This helps to give the movie a pleasing sense of verisimilitude, even if the audience is unaware of it at the time of watching. It all adds up to a movie that came out of nowhere, stole many many hearts from contemporary viewers, and is still as charming and entertaining now as it was back in 2000. And how many other movies can you say that about? Rating: 9/10 – a sparkling, witty, yet still decidedly subtle dramatic comedy set around a defining moment in human history, The Dish is as triumphant as those first images from the Moon must have been; an excellent movie that works on many more levels than is immediately apparent, this is easily one of the best Australian movies ever made – and for the most part, it all takes place in a sheep paddock. Couldn’t agree more – deserves far more recognition than what it currently receives.